Hilf & Hilf, PLC provides solid criminal law representation for those in the southeastern Michigan who have been charged with criminal offenses. No matter if your case in in Oakland, Macomb, Wayne, Washtenaw, Monroe County or elsewhere, we will travel to where you need us. Felony, misdemeanor, ticket - no matter what your legal issue, you need immediate help. A criminal charge or ticket can follow you around for years and years. 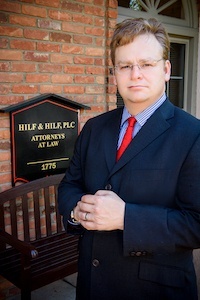 Hilf & Hilf, PLC provides proven legal strategies and the litigation experience necessary to get the job done. Make the smart decision for you and your family and contact Hilf & Hilf, PLC today.